A stylish dresser with a subtle mix of colours - This dresser combines a touch of mid-century with a subtle mix of colours and the warm radiance created by the painted poplar wood. The special attraction of this dresser is its combination of a modern formal idiom with vintage elements. The result is a dresser which is totally modern but at the same time makes itself at home in any environment. An entrancing piece of furniture which could become an absolute design icon. Perfect for all all those looking for something individual and stylish. Its inspiration was the colours of the Fifties and the flea markets of Paris. 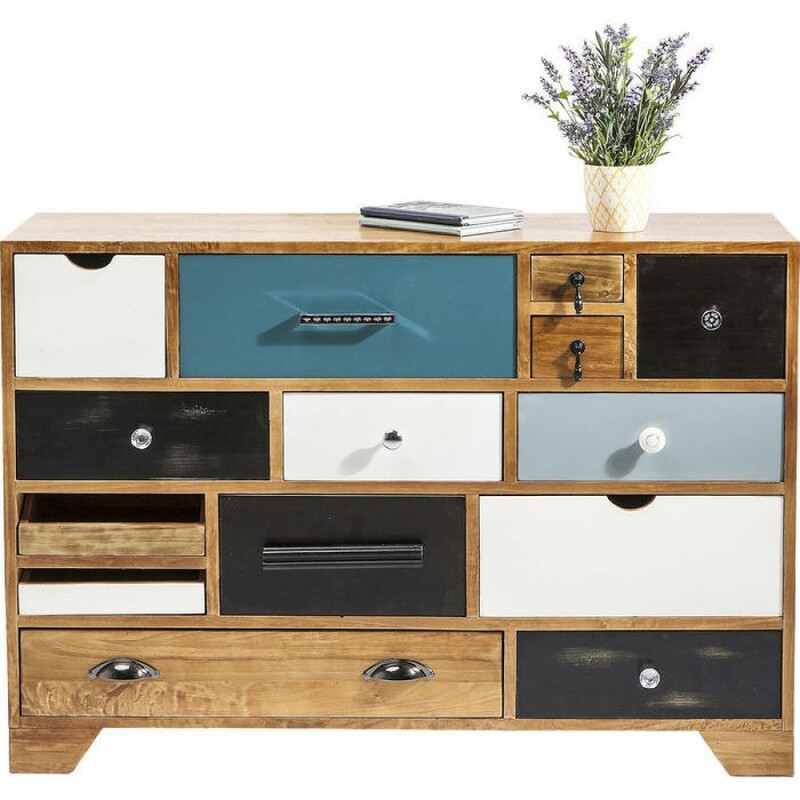 A great mix of materials and colours, and with lots of storage space in 14 different drawers. This item of furniture is manufactured in Europe. Available as a series.